Heatsink for the SSR. It comes with a bag of thermal compund and mounting screws. Both will work for leaded and lead-free profiles but the one with metal shield is more durable. Both will do the job. If available, for standard power lines, just get the 280V version. 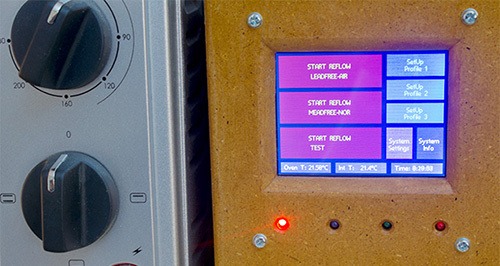 X-toaster is a Reflow Oven Controller specifically designed to convert any normal toaster oven into a reflow oven. 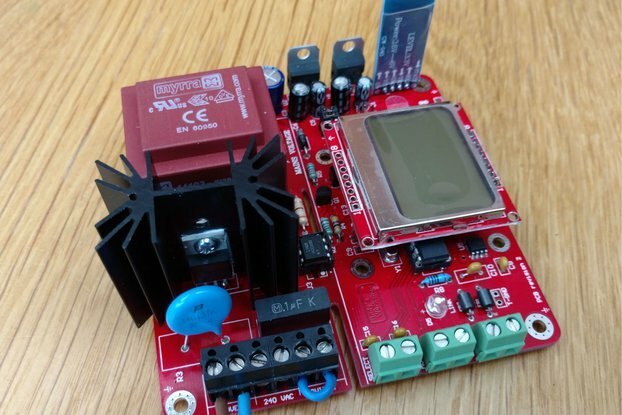 It can drive two external SSR to enable control of the heaters and, if present, the oven fan. 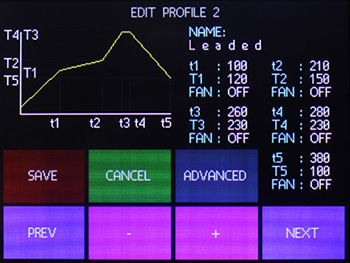 GUI has been designed to work on a 3.2” color touch screen. 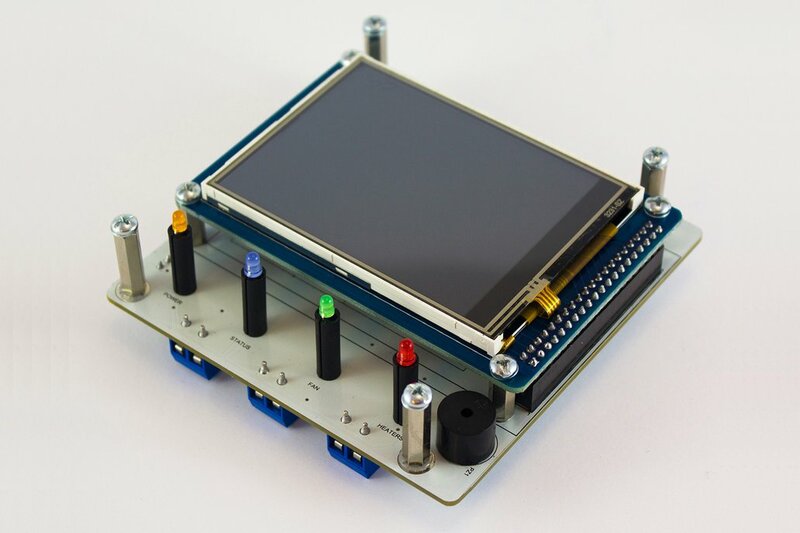 There is no need to connect an external PC for programming: everything is controllable directly from the touch screen. 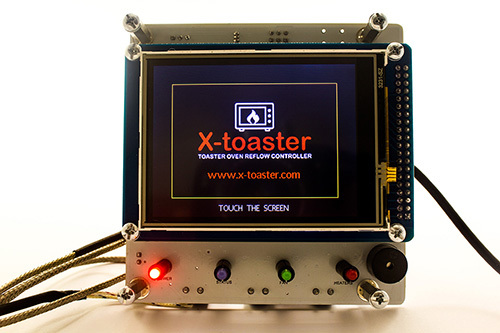 I designed X-toaster because I needed a Reflow Oven Controller for my company, for small batches productions and for prototyping pourposes, when dealing with QFN and BGA. I needed something easy and quick to setup with any toaster oven without having to completely modify it. 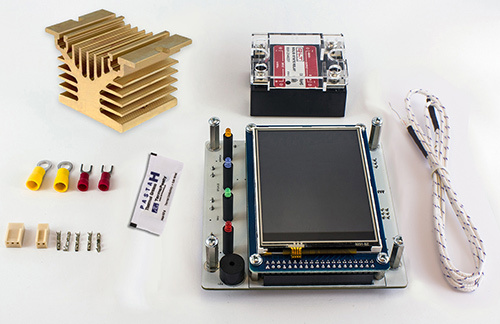 A nice package with everithing needed (thermocouple, SSR, heatsink) already mounted or in the kit would have been a plus. 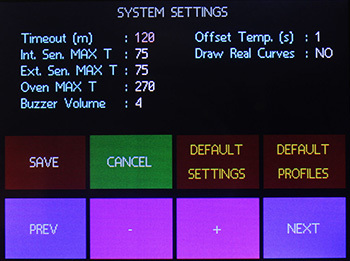 I was searching for something easy and flexible to use with a nice stand alone GUI and without PC connection: it is not funny having to always move your oven on your desk every time you want to reprogram a profile. 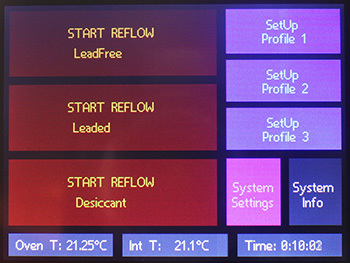 Beside, I do not really need to keep track and save on the hard disk every single reflow session… but I should be able to modify and store them “on the fly”, when needed. I wanted something with a nice and effective PID algorithm. Any predictive algorithm combined with PID would have been a nice plus. I could not find a controller with all these features, so I made my own. 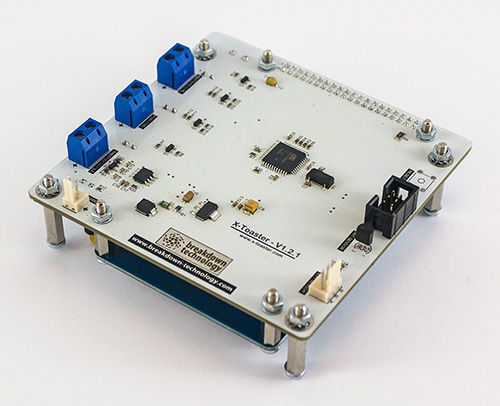 All our boards and kits are returnable and refundable within 14 days from the shipping date (30 days for international orders). To be elegibile for a return your item must be unused, unmounted, never powered in its original unopened package. FOR EUROPEAN BUYERS: products sold on Tindie are VAT exempt, hence only for non EU countries. 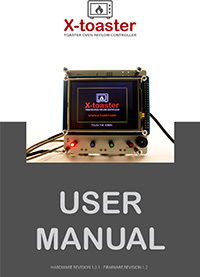 If you are willing to buy from inside European Union you should place your order directly from our website www.x-toaster.com where a VAT will be calculated and added to your order. If you are a business with a registered EU VAT number you can also get a VAT exemption by inserting your VAT number on our website at checkout. Thanks for understanding. Works great. Easy to assemble. Needs a case/box. Wish it could control more than one toaster oven. The expectations I had when I ordered the product were exceeded when I finally received it (Canadian customs sat on it for 2 weeks!). Everything needed is included and the build quality is amazing. I bought a plastic case at a local shop and using the VERY well documented dimensions, was able to make the necessary panel cutouts easily. I added a 120V duplex (with careful consideration for isolating two sections from each other) in the same box so I could plug my toaster oven in there. However, with the included heatsink, the included SSR had to go outside the box, though I may change that given since the SSR doesn't heat up much (if at all). 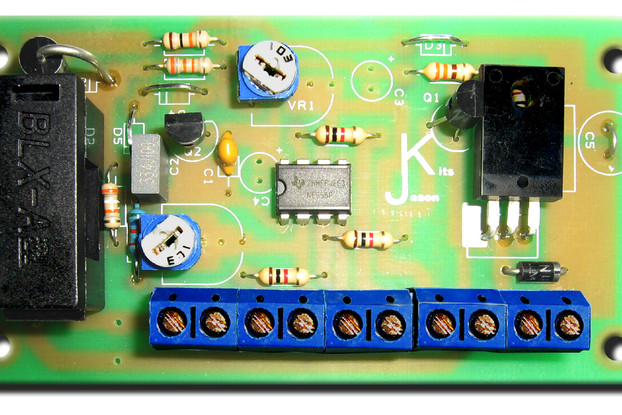 The documentation for tuning the controller to any oven is fantastic though I chose to use the default leaded profile for my first board. It worked flawlessly! 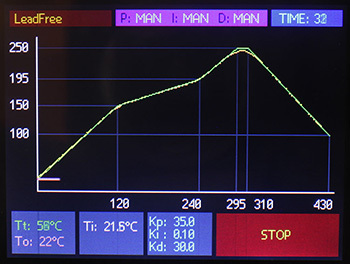 With the temperature profile graph, buzzer and excellent UI, it was a joy to use. It was obvious on the display that my cheap (Black & Decker) oven did not have a good heating rate for the final "push" since it only has a single element top and bottom. I can't stress enough how well this product is designed and built, and how easy it is to use. I highly recommend it. Having a complete boxed unit is the only suggestion I can make.